• A great heavy duty bouncer house for your children to spare leisure time! 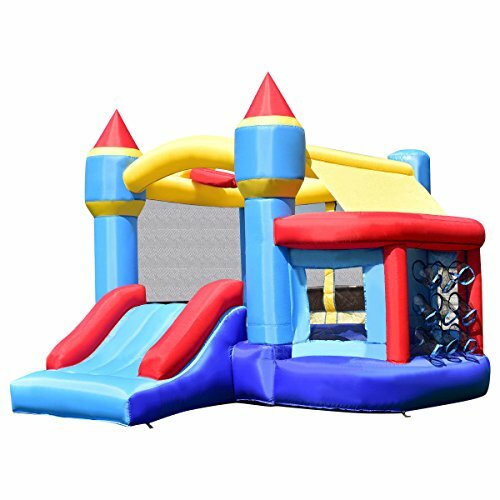 Made by heavy-duty puncture proof 420D Oxford materials, Bounce House is extraordinarily durable to bring much happiness to your children. Easy to set up & take down, it can be blown up quickly. You can carry this bounce house conveniently to anywhere by a durable carrying bag without the restrict ion of location for your children to enjoy the fun!